You can get ordinary glass frames anywhere, but you can get one that has a very special message from here. This one is enscribed with a verse that gives value of the life of your godchild. “I praise you because I am fearfully & wonderfully made. Psalm 139:14” Is a great way of declaring how precious and how wonderful a gift your godchild is. Photographs capture moments that we long to remember long after it passes. We want to record important events and memorable times and having the photos to reminds us of those happenings brings a lot of happiness. And a baby’s christening or dedication is something that parents would want to look back on as time goes by. 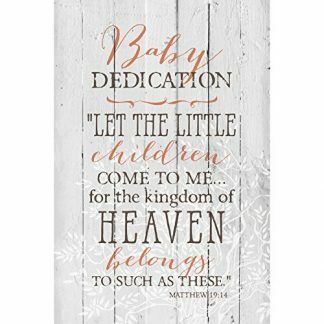 For anyone who wants to give a gift to a baby christening dedication, it is important to give a gift that is not only useful, but one that is also memorable. 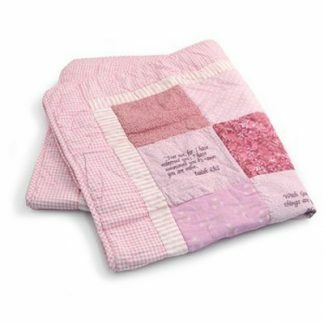 There are tons of choices for baby gifts, and choosing that special one can be dizzying. But if you want your to truly be treasured, a beautiful glass photo frame to hold the baby’s momentous life event is a perfect choice. This beautiful beveled glass photo from Dexsa Ltd. is a beautiful keepsake to hold a precious photograph to commemorate a baby’s dedication day. Each photo frame is hand crafted and are made from high quality glass. It also has the Bible verse from Psalm 139:14 written on it. It measures 5.5 inches by 5.5 inches and it can fit a 3.25 inches by 2.25 inches photo. The glass frame can be propped up with an easel, which comes with the package. What sets this frame apart from the others is perhaps the fitting Bible verse that is written on it. It quotes Psalm 139:14, which says, “I praise you because I am fearfully & wonderfully made”. To have that Bible verse written there together with a beautiful photo of the baby, and having it still as that tiny baby grows and matures through the years… it is indeed praiseworthy to know how wonderfully that miracle of life came to be. 1 year manufacturer parts & labor.